The Pizza Man a Prime Contender in Arlington Million: Names for horses will never matter as much as their talent, but The Pizza Man certainly has one appealing to nearly all racing fans. Almost everyone loves pizza, and here is one with pizza in his name. 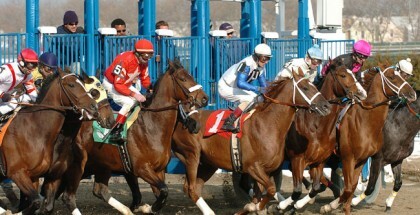 The Pizza Man represents the perfect “hunch play” kind of horse, as hungry fans will instinctively play him. Lucky for them, The Pizza Man also offers enough ability to give those players a good chance. With 11 on-the-board finishes out of 12 starts at Arlington Park, The Pizza Man is slated to attempt another good finish at his favorite racetrack on Saturday in the Arlington Million (GI). The six-year-old gelding is cross entered in the American St. Leger, but Richard Papiese from Midwest Thoroughbreds insists in a press release the Arlington Million is preferred. The Pizza Man definitely belongs, as shown by his past 10 races where only one or two average efforts were turned in. Arguably, the fourth place finish in the Canadian International (GI) looks better than how handicappers will perceive the effort. The Pizza Man took the lead turning for home through slow raw fractions and failed to put the others away. When it comes to racing on Woodbine turf though, the raw fractions are not reliable indicators of pace. In addition, those who study BRIS past performances can see the pace numbers, which rate the Canadian International as fast in the middle portion. Recently, The Pizza Man switched to a more conservative running style. In this year’s Stars and Stripes (GIII), he closed from sixth to win the race for the second straight time. Last year, The Pizza Man ran more aggressively and led from the beginning. Papiese addressed his horse’s versatility. While Big Blue Kitten finished ahead of The Pizza Man in Canada, that is no reason to believe the tides will not turn. 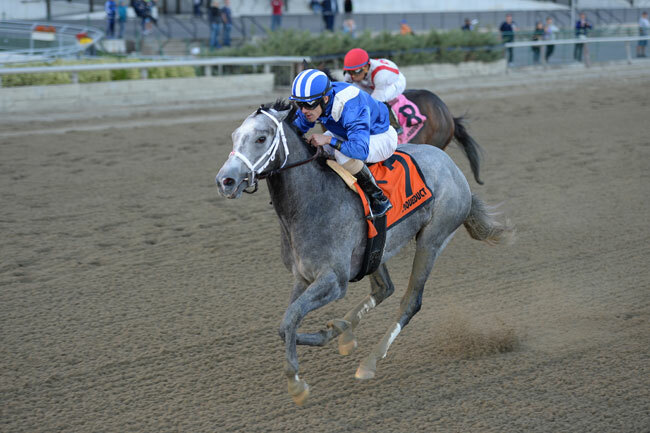 The Pizza Man accomplished more of the dirty work and Big Blue Kitten had the advantage closing into a decent pace. In fact, Big Blue Kitten tends to need a hot pace, otherwise why is stablemate Shining Copper running here? 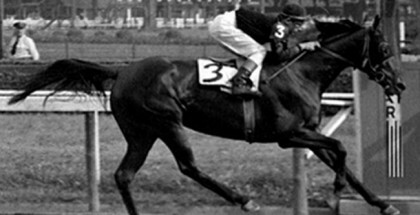 Granted Shining Copper ran well in the United Nations (GI). Two starts ago Big Blue Kitten lost to fellow Arlington Million competitor Slumber. 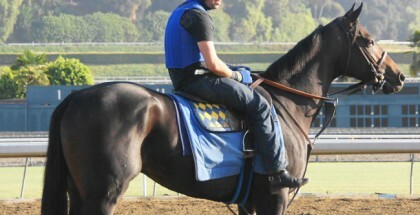 Four starts ago, he lost to Dynamic Sky. Sometimes Big Blue Kitten wins. Other times he loses to average stakes horses. The Pizza Man offers a similar record, at better value for bettors. The Europeans are not overwhelmingly talented on paper in this race. Out of them, the most interesting contender is Bookrunner, a four-year-old TIznow colt with American breeding on both sides. At least, this horse ran in the Two Thousand Guineas (GI) at Newmarket four starts ago. He finished 11th by over six lengths. Night of Thunder, Kingman and Australia finished in the top three positions, giving the race a lot of credit in the quality department. Triple Threat, a former European, merits consideration as well. From a pace standpoint, his American debut is solid on paper as the half mile went in over 50 seconds and Triple Threat closed into the slow raw fractions and won. Then again considering his low odds, the competition was possibly weak. For some reason, Triple Threat and three of the Europeans (Maverick Wave, Elleval and Belgian Bill) are marooned on the far outside. Bookrunner breaks from the third slot. Regardless, the Arlington Million is a long race and post positions will not matter too much. The Pizza Man, who starts from the seventh post position, has received his order. This writer, and many fans, hope he delivers.